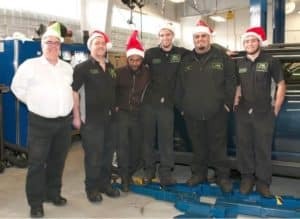 Lube Techs | Ray Laethem Chrysler Dodge Jeep Ram " "
Detroit’s #1 Automobile Dealer. Our Service Makes The Difference. Ray Laethem Chrysler Dodge Jeep RAM is hiring 4 Lube Techs by May 11th! Be a part of one of the most important teams in the dealership – The service department! POSITION OVERVIEW: Lubricates the moving parts of vehicles. To perform this job successfully, an individual must be able to perform each essential duty satisfactorily. The requirements listed below are representative of the knowledge, skill, and/or ability required. Reasonable accommodations may be made to enable individuals with disabilities to perform the essential functions. ESSENTIAL JOB FUNCTIONS AND RESPONSIBILITIES: Essential duties include the following, including other duties which may be assigned. Drains oil from crankcase and refills with required amount of oil, replaces oil and air filters, inspects fluid levels, checks the pressures, and performs the rotations. PHYSICAL DEMANDS: This position requires the ability to walk, sit, use hands or fingers, handle or feel, and reach with hands and arms. You will regularly be asked to climb stairs, balance, stoop, kneel, crouch, and talk/hear. You will occasionally be asked to lift and/or move up to 25 pounds. Ray Laethem Motor Village may order a consumer report and/or an investigative consumer report that may include information as to your character, general reputation, personal characteristics, mode of living, work habits, performance, and experiences, along with reasons for termination of past employment, in compliance with applicable law and as directed by company policy and consistent with the job described, The Company may request information from public and private sources about, but not limited to your: workers’ compensation injuries, driving record, court record, education, credentials, credit, references, and drug testing to detect the use of illegal drugs prior to and during employment. *To qualify for signing bonus, new lube tech must start by May 11th and be employed for a full 90 days. 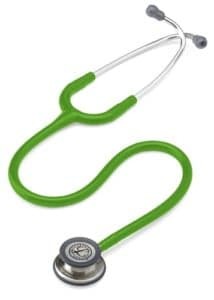 32 State-certified Diagnosticians and Technicians on staff, standing by. The Most Important Number? Ray Laethem Is Detroit’s #1 Automobile Dealer Because Our People Are #1. 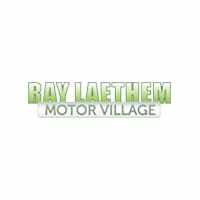 Learn more about opportunities with the Ray Laethem Motor Village TechTeam. Click Here to View All Ray Laethem Opportunities.